American Homestead Autumn, hand-colored lithograph on wove paper by Currier & Ives, 1868–69. Chances are that, this week, you or someone you know will be spending hours making pies for Thanksgiving. It’s a tradition going back two centuries, but for most of the 1800s it was a year-round American mania. The Beecher family knew all about pie, and siblings Harriet, Catharine, and Henry all wrote about this American obsession. 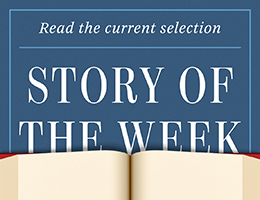 For our Story of the Week selection, we present an essay on “Apple-Pie” by Henry Ward Beecher, the most celebrated preacher of his day. And, for good measure, we’ve included his sister Catharine’s recipe for “An Excellent Apple Pie.” Bon appétit!